To say I'm a concealer snob is, well, an understatement. I have gone through hundreds, if not thousands, of products—casting off each one when it didn't nix dark circles, or brighten my under-eyes, or when the formula creased before noon. It's been a journey. That being said, there seems to be light at the end of the tunnel. This week Estée Lauder's newest offering came across my desk, a dual-ended, multi-tasking serum and concealer meant to hydrate, smooth, and conceal all at the same time. It's too good to be true, I thought, scoffing at the claims and cast it aside. As the day went on, I decided to give it a try. I had a date that night and hadn't brought any other makeup, so its effectiveness became crucial. I removed the cap from the "hydra-prep" side, a primer that includes a mix of hydrating ingredients like hyaluronic acid and glycerin. I applied it and noticed the first important factor—its rosy tone. The shade helps to neutralize darkness, a definite issue for me, and yielded this pearlized finish that was both translucent and luminous. I blended it in with a damp Beautyblender and my eyes looked air-brushed. I was stunned. I even resolved to use the primer before applying my usual go-to product if I didn't end up falling in love with the concealer. But, then I did fall in love with the concealer. I smoothed the formula on along my under-eyes—I usually do an upside-down triangle reaching up to my cheekbone (a makeup artist suggested the tactic years ago)—and buffed and blended it in with my Beautyblender. The results were pretty astounding. My dark circles, usual puffiness, and under-eye bags were gone and in their place was bright, even, plumped up skin. I looked Photoshopped. But in a good way. 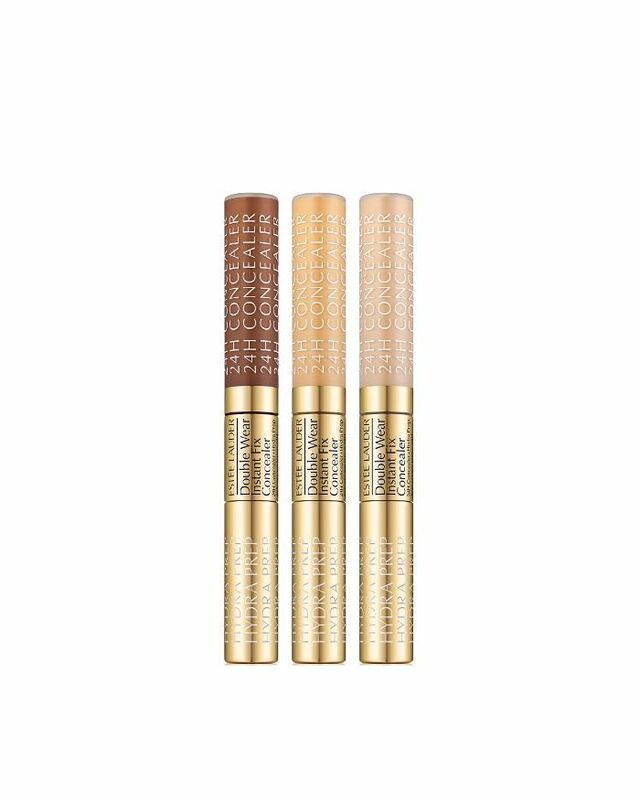 The concealer is oil-free, waterproof, and humidity-resistant (score), as well as entirely lightweight and super comfortable. It doesn't get flaky, crusty, or creased overtime either. By the end of the day my face still looked as nice and bright as it had when I first applied it. The satin finish makes it so there's dimension to the skin, creating a surface where light can reflect. That's the secret to the whole thing—luminosity and hydration to help brighten underneath your eyes. It's pretty much a life saver and I don't use that phrase lightly (or often). The collection comes in 22 shades, which isn't as many as Fenty's new concealer but still pretty comprehensive. My shade is Light-Medium, but feel free to click over to Ulta to find your match. You won't regret it.